In the financial services world, we talk a lot about performance. My clients rightly expect me to do everything in my power to ensure that I’m giving quality investment advice, and I am absolutely committed to serving them to the best of my ability. Yet true performance is about more than just investment results. Because I am a Christian financial planner, I believe that my ultimate performance review will come at the end of my life when I meet God face-to-face. In that moment, I will give an account of what I did during my lifetime and my highest desire is to hear Him say, “Well done, faithful servant” (Luke 19:17). Because of this belief, I am committed to conducting business with honesty and integrity. I deeply appreciate the trust and confidence my clients place in me, especially during tumultuous markets and uncertain economic times. My staff and I are committed to continually earning that trust through an ongoing demonstration of competence and integrity. Rachel McDonough combines her insight from years living among some of the world’s poorest people in Kenya, with her professional experience as a Certified Financial Planner™ professional to offer a broad and refreshing perspective on money. She believes that the best way she can help her clients be truly successful is by helping them make financial decisions that reflect their personal values. Rachel is the founder and owner of Make Your Money Count, LLC, an independent firm. Rachel offers hourly financial planning and asset management. In 2013, 2014, 2015, and 2016, she was listed as a “Five-Star Wealth Manager.”1 In 2008 she was named one of the Top Women in Finance2 by Finance and Commerce Newspaper, and Corporate Champion of Women3 by the Minneapolis Regional Chamber of Commerce. 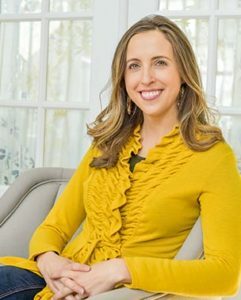 In addition, Rachel is the author of True Treasure: Giving, Saving & Spending According to Your Calling and is a frequent speaker on the topic of money and values. Rachel lives in River Falls, WI and is the proud mom of two seriously above average daughters (Naomi and Chloe) and the wife of an amazing man (Chris). She loves to go on missions trips and lead worship at church. 1Award selection for nominated wealth managers are based on satisfying the following criteria: credentialed as an investment advisory representative, a FINRA-registered representative, a CPA or a licensed attorney, actively employed as a credentialed professional in the financial services industry for a minimum of five years, favorable regulatory and complaint history review, fulfilled their firm review based on internal firm standards, and accepting new clients. Other criteria considered are one and five-year client retention rate, non-institutional discretionary and/or non-discretionary client assets administered, number of client households served and education and professional designations. 3Selection criteria based on content, leadership and impact. One More Step to Your Free Download & Monthly "True Treasure Insights"
Thanks for your interest in our free download and joining our mailing list. To finish signing up, click Sign Up below. By submitting this form, you are granting: Make Your Money Count, 8200 Building | 5600 W 83rd Street, Bloomington, Minnesota, 55437, United States, permission to email you. You may unsubscribe via the link found at the bottom of every email.